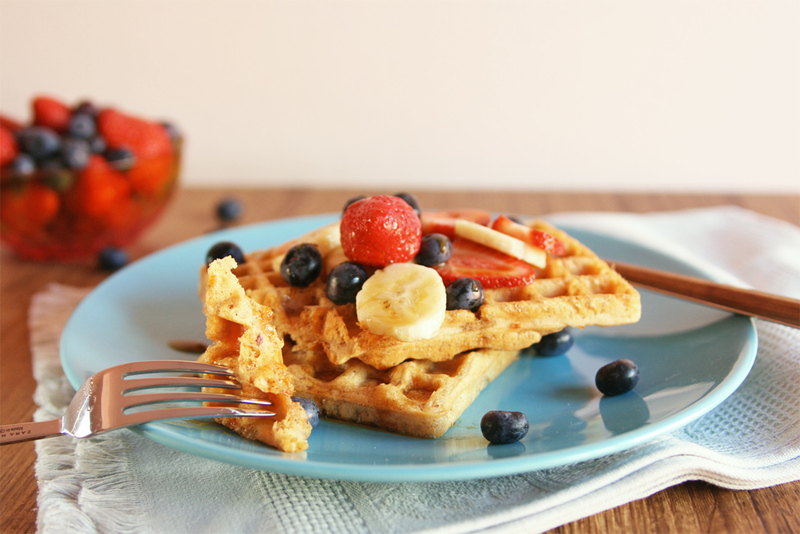 I know what you're thinking, "waffles with red lentils?! 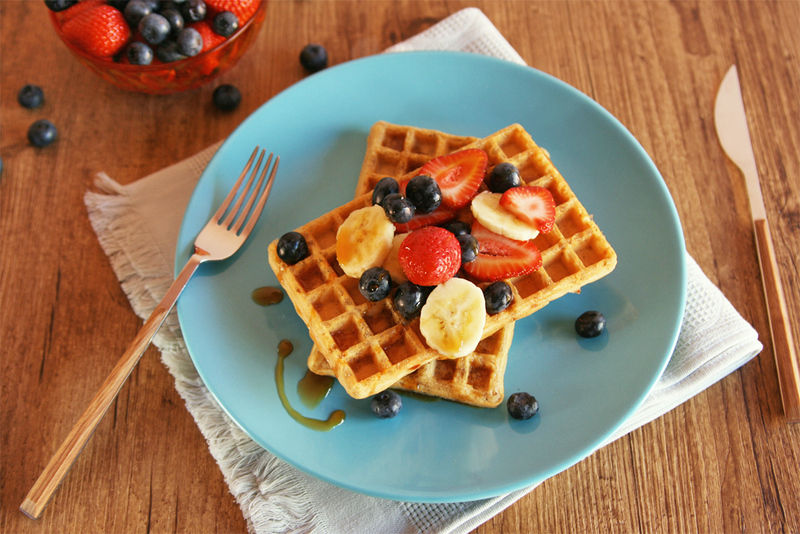 "...fear not, cause these gluten-free waffles are actually yummy! I used red lentil flour and brown rice flour, the first one is a totally new to me flour since I have never cooked with it before and rice flour is usually my first option when I want to make a gluten-free recipe. My friends at El Granero Integral sent me a few packs of their new organic pulse flours: green pea flour and red lentil flour. Of course my first thought when I received them was to try something sweet. Plus I'm always trying to find a good excuse to use my new belgian-style waffle maker, one of the best purchases I've made in a long time, I simply love it! 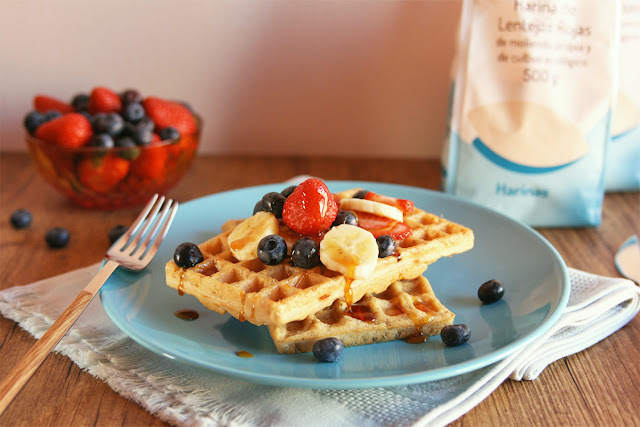 These wholesome waffles have an interesting nutty and slightly earthy flavor, deliciously crispy on the outside yet light and soft on the inside. 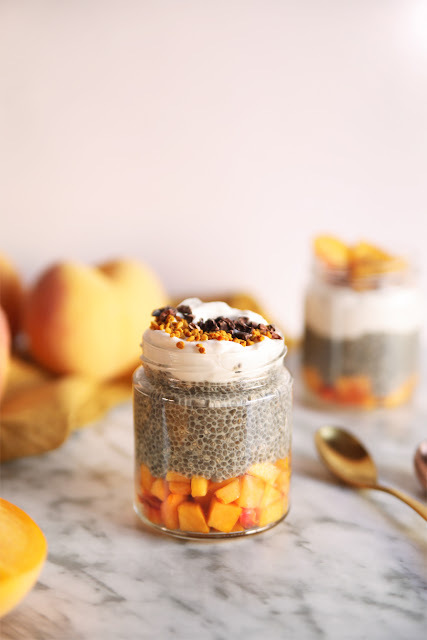 It's a quick recipe, you'll be enjoying a great breakfast in the blink of an eye; since they are packed with a decent amount of protein and good carbs I love to prepare them in the afternoon before/after an intense workout session. Have you ever cooked with red lentil flour? I would love to try some savory recipes as well! 3/4 cup red lentil flour. 3/4 cup brown rice flour. 4 tablespoons raw cane sugar. 3 tablespoons unrefined coconut oil. 1 1/2 cups unsweetened almond milk. In a medium mixing bowl stir together using a wire whisk the flours, flax meal, sugar, baking powder and salt. In a separate bowl whisk together the coconut oil and almond milk, stir in the vanilla powder. Add the milk mixture to the bowl with the dry ingredients and mix just until combined and no lumps are visible. Let the batter rest for a couple minutes. 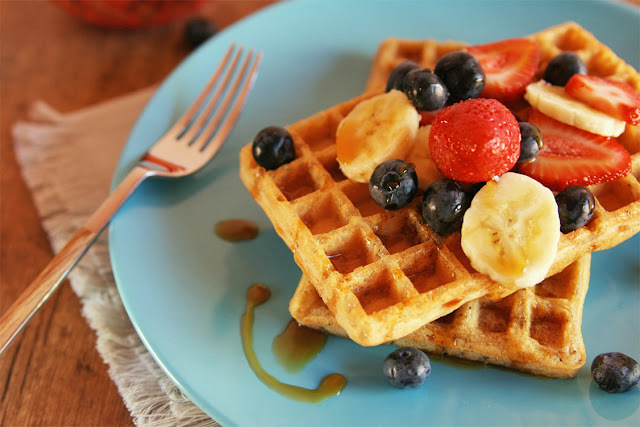 Meanwhile, preheat your waffle iron and don't forget to grease it with a bit of coconut oil. 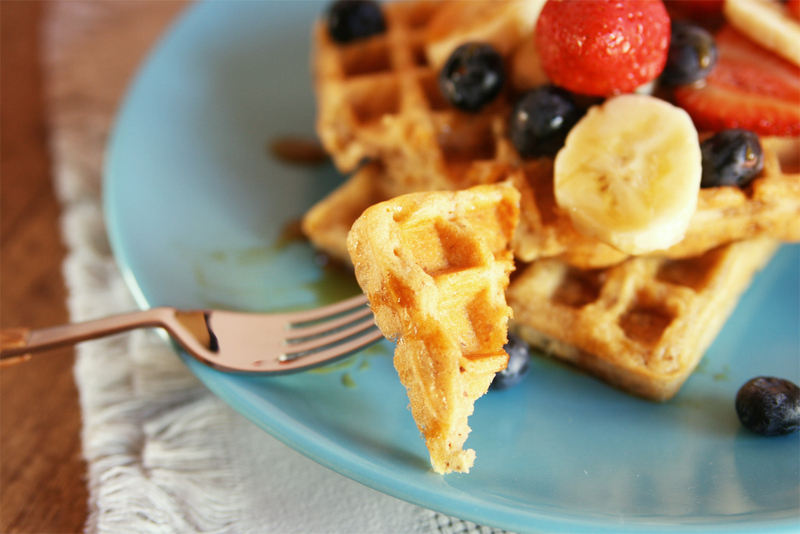 Give the batter a quick stir and cook the waffles according to your manufacturer's instructions. My waffle maker lets you choose the doneness/color and texture so if you can choose, I'd recommend you to cook them until they are crispy on the outside. They look perfect! Ive never tried red lentil flour how interesting. I totally get the food photo prop addiction. PS: yep, I ended up buying new cups. Guilty! I LOVE baking with pulse flours! These waffles look amazing! 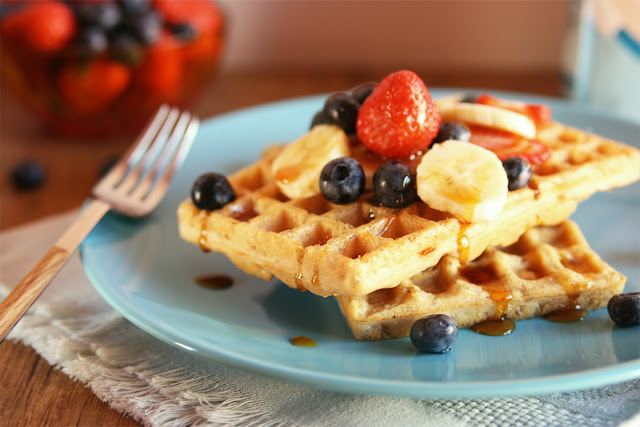 I love waffles, and your pictures make them look delicious!